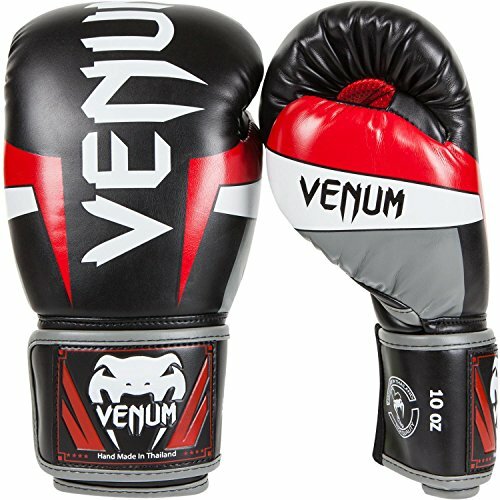 Venum is a brand that became famous mainly in the MMA world, but it has recently found consistent appreciation from the Muay Thai community specially after opening the Venum Training Camp in Pattaya, Thailand. 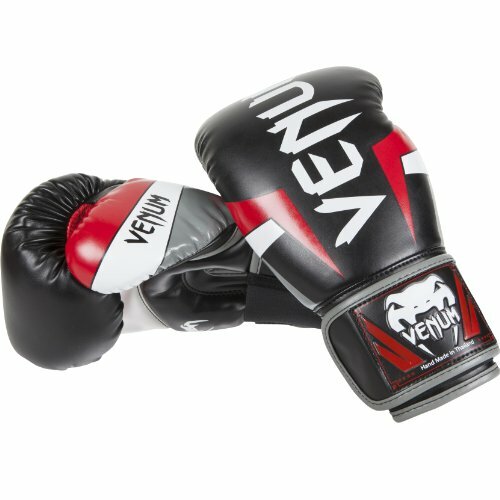 Venum brand is noticeable for the flashy and aggressive design and the alternative materials they use in their products, still delivering high standard products. 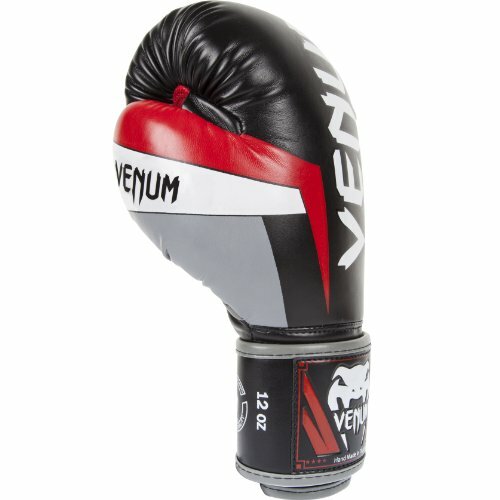 The Venum Elite Boxing Gloves are certainly a quality product, with fantastic features in matter of design and building quality, to the point that some people grade them as some of the best gloves on the market. But of course there are some cons that have to be considered. We can’t deny that Venum has one of the most visually flashy looks on the market now, which you might like or not. I personally am not a fan of the flashiest models they have, like the Neo series or the Fusion series, but the Elite has some beautiful matte color option, as well as the Giant 3.0 series has some stunning full leather finish with the snake logo on the knuckles. The model I am reviewing is the black with red and grey stripes, simple has I like, but also quite distinctive. Matter of great debate is the ‘Skintex Leather’ Venum uses for this series, which of course is a cool name for engineered synthetic leather. I was expecting a fake rubbery leather and I was ready for the worse, but I was really surprised when I actually put hands on them: the feeling is similar to a softer latex leather, really smooth and snappy on the finger tips. The upper palm has a mesh fabric together with punched holes for better ventilation on the hand. The lower side has a small but quite dense padding for parrying and blocking punches. The thumb is attached and also has ventilation holes which I mark as a plus. 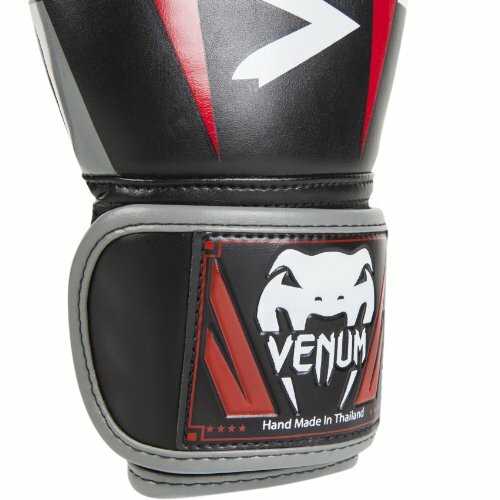 The cuff is longer than a traditional Thai glove but still shorter than a boxing glove, velcro strap closure and Venum logo on the front with ‘Made in Thailand’ writing underneath. It has to be specified that Venum has two different quality of products. The first one is ‘Designed in Thailand’, such as the Challenger 2.0, actually made in Pakistan and with inferior quality of materials and of the overall attention to the constructions of the glove. 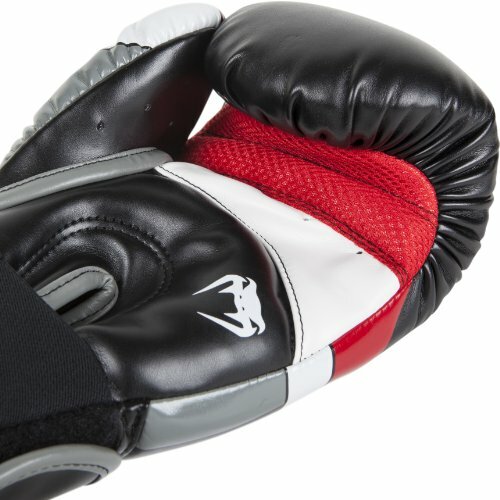 The ‘Made in Thailand’ models, as the Elite Boxing Gloves, are made with superior materials and definitely better attention to details. The double stitching on the gloves are impeccable, delivering a much more solid and long lasting construction to the glove. The triple-density foam technology is designed for better protection during sparring as well as longer longevity of the glove. Few people mentioned how the foam does not sit properly over the knuckles. I would like to point out that the glove is constructed in a way that already position your hand slightly bend on your wrist joint, so that your first is ‘forced’ to punch directly with your knuckle area. Is this a pro or a con, I can not really say. I am used to more tradition Muay Thai way of striking and I prefer having more freedom of movement so I can shift easily from striking to parrying to clinching. But for a boxing/kickboxing style, and a more beginner-intermediate student, it might be a plus as your hand is naturally resting in the punching position. With that said the foam is covering the knuckle area properly. Overall the glove is very well padded, with padding on the thumb as well, and it feels quite soft and pillowy on the outer layer but still firm closer to the hand. Padding is well balanced on the front and on the back of the hand as well. I have to say that the hand compartment is pretty roomy and also the thumb compartment has a fair amount of space which I did not find extremely comfortable. The cuff is long enough for punching stability and it really firm so that you feel safe even when going heavy on pads or bag. 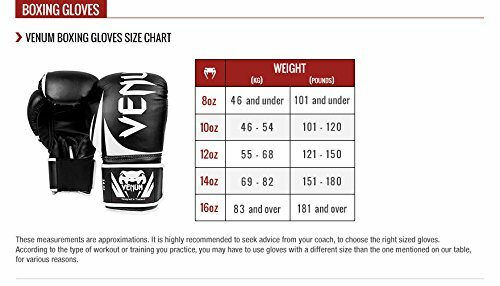 I find the Venum Elite Boxing Glove to be and excellent sparring glove for beginner to intermediate level. The padding is well distributed and it offers great protection on your hand. 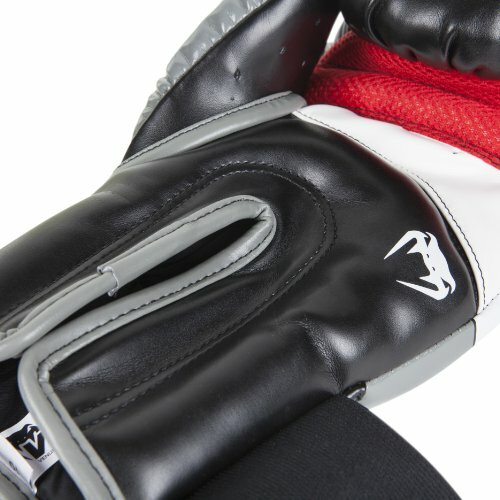 The thumb is well covered by the padding and it stays well in place when punching. Still would not consider it a heavy puncher glove. The Skintex leather has a very good feeling and almost no friction on the receiving skin which definitely a plus for your sparring partner. The cuff secures stability on punching and it does not allow unnecessary wiggling of the wrist. Probably not perfect for clinching as does not allow wide range of movement. Also, having a large hand compartment, it might be slightly annoying if you have small hands. The mash palm and ventilation holes keep your hand dry and avoid unwanted smells post training. A well designed, well constructed and long lasting glove with cool looking aesthetic and plenty of color options. A very good entry-intermediate glove, but could be used by more advanced punchers with no problem. Some of its features can be argued: the cuff is not a short Thai cuff which allows freedom of movement for clinching, but also it is not a long boxing style of cuff, and it sits there in between trying to please both audience. The inner construction of the glove positions your hand into a more 'natural' punching position, but not everyone punches in the same way (please allow me to say that), meaning that sometimes you don't want to punch just like that, or you may want to open your hand more, or block in a certain way. Cuff not for Thai, not for Boxing, bit of both! 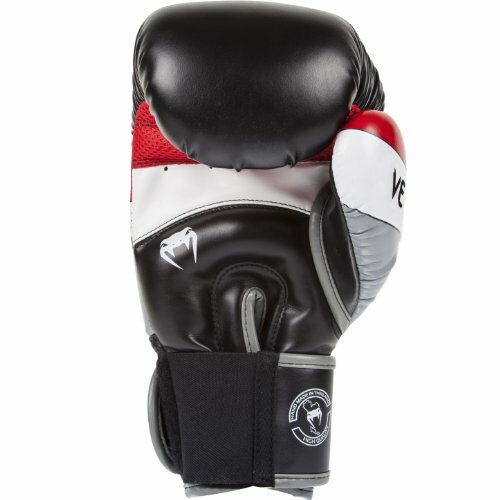 Also, if we consider that the price for the glove varies between 65 to 80 USD, you might find better option in the same price range, rather more boxing oriented glove or more Muay Thai oriented, such as Fairtex or TKB, or also Revgear Sentinel series (which is an excellent boxing glove). 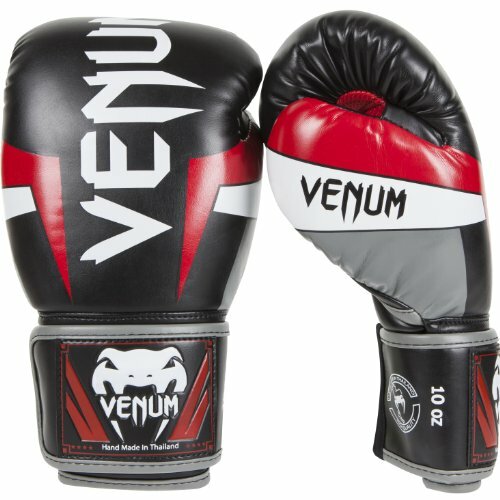 Alessio purchased these Venum Elite boxing gloves himself for the full price. This did not influence the outcome of this review. Great review Alessio! 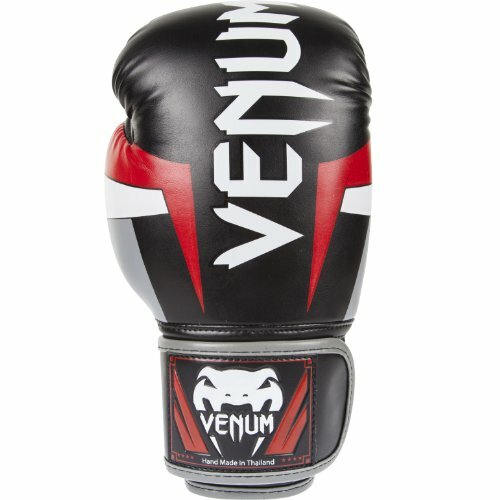 I’ve tried Venum Elite gloves as well, and have to agree with you that Elite is a great beginner’s gloves. Perfect for someone who works out few times a week and isn’t ready to invest in more expensive pair of gloves.